Beyond the beautiful South American landscapes, samba music, and street soccer, it is an unfortunate reality that Brazil is a country marked by high levels of socio-economic inequality and violent crime. According to the United Nations Office on Drugs and Crime (UNODC), Brazil has between 20 and 30 homicides per 100,000 inhabitants, placing it in the top 20 countries in the world by intentional homicides rate. 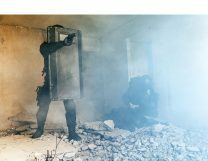 Since being established in 2015, KB has been manufacturing high-quality ballistic protection solutions for use by civilians and public authorities. 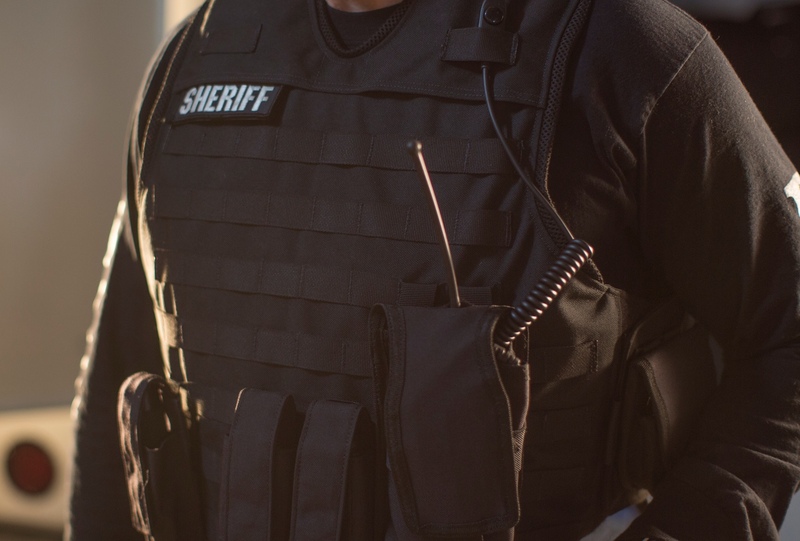 Since 2015, they have been integrating Teijin Aramid’s Twaron® into their ballistic vest because of the high-performance qualities of this material. With violent crime and urban unrest still prevalent in certain parts of Brazil, the local market for armored vehicles, ballistic protection clothing and other personal safety solutions remains strong. Based in São Paulo, Brazil, KB focuses on manufacturing high-quality, well-finished, bullet-proof, civil-use vests that meet the demands of a select and high-spending public. Three years ago, Daniel Kamamoto and Jerson Bufarat, from KB, began the search for a hybrid or aramid materials that could raise the performance levels of the company’s products, while also ensuring absolute reliability. Through Rene Lohmann, Sales & Marketing Manager Ballistics, they came into contact with Teijin Aramid, and soon began testing the performance of Twaron®. The Teijin Aramid team in South America provided KB with extensive advice and technical knowledge, enabling a quick integration of the material into the ballistic vests. 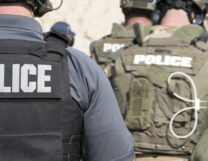 Because of its unique mechanical properties, Twaron® offers some very special advantages to ballistic vest manufacturers such as KB. In particular, Twaron®’s high tenacity, high energy-absorption rate, and high modulus of elasticity allows the rapid dispersion of deformation waves, making it an ideal protective material. The high number of individual filaments in Twaron® material can also improve the synergistic effects. In addition, by making vests lighter and more comfortable, Twaron® can significantly improve the user experience of wearing the vest. By integrating Twaron® into bulletproof vests, manufacturers can offer enhanced user comfort, and protection against all kinds of bullets and fragments, as well as against stabbing with sharp and pointed objects. Military Police: A duty to the people… and themselves! In September 2017, KB focused on the supply of personal protection equipment to the São Paulo Military Police, which is known within the industry for its high standards for quality and reliability. Thanks to the Teijin ComForte line, KB was able to meet all the standard requirements of the vests. In particular, the military police tests ballistic protection vests for wearability, improved ballistic protection and comfort. To fulfil their mission of protecting the people of Brazil and upholding the law and order of the state, military police officers must be able perform their duties comfortably, without their physical movement being compromised. As they themselves state, without taking care of themselves, the military police can’t take care of other people. Delivering higher levels of protection is a key trend in the personal protection equipment market, in Brazil and across the world. 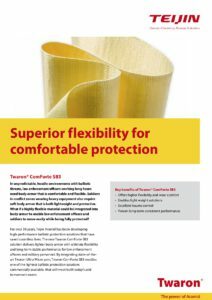 Thanks in part to Teijin Aramid and the special high-performance qualities of Twaron®, KB offers some of the best products available to the market. With both Teijin Aramid and KB looking proactively at how to service the consumer market and continuing to meet customer demand, high-quality personal safety solutions will remain within reach in Brazil. Here’s to a safer future!